College coaches are starting to get familiar with the Diamond Elite brand. It’s a program becoming known for hard working players who play the game the right way and it was on full display this past summer at the Perfect Game 17u BCS National Championship in Fort Myers, Fla. 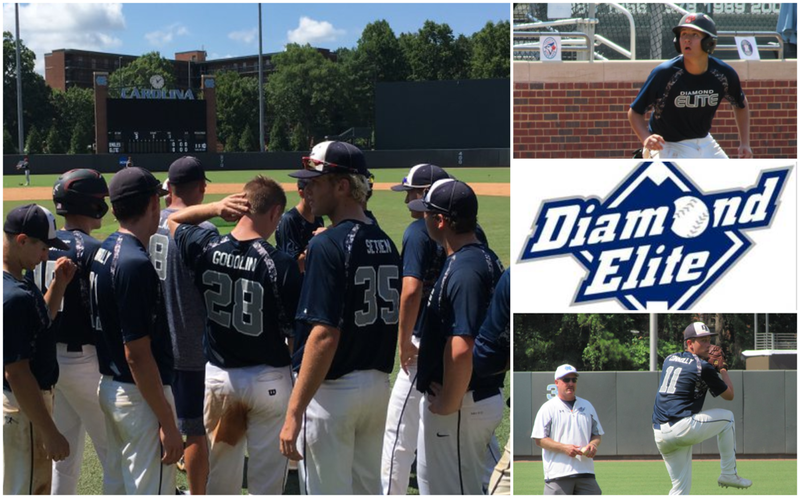 The Diamond Elite 2019 team not only turned heads over the course of the week with their play but continued to grow the program’s reputation among college coaches. Signing up for the national tournament was a culmination of a five-year process with a group of players that bought into the system established by Plank and founder Ken Bukauskas. A third-place finish and a No. 25 national ranking following a 7-1-1 record proved the boys from Loudoun County were more than capable of handling the competition. Success on the national stage can be linked to the talented roster, experienced staff and an almost unlimited access to top facilities in the area. However, when competing against other programs with similar characteristics and resources, the execution and intangibles for the Elite pushed them over the top. “We were hitting cutoffs, getting bunts down, picking off runners, taking dirt ball reads,” Plank said. “These boys have played together for so long, they have strong chemistry and there is a level of trust and intangibles other teams do not have,” Bukauskas said. Plank holds weekly practices with multiple coaches focusing on specific position groups, which he feels has been key to a lot of his player’s development over the years. With just one team per age group, Plank is able to establish relationships with his players and understand what their specific needs are. A 10,000 square foot facility in Sterling allows the program’s teams to workout when fields are unplayable. The team also meets at the facility on a weekly basis to work fundamentals while allowing players the freedom to train with their high school teams and other coaches in the off-season. Even though banners and rankings are cool for Plank and the staff at Diamond Elite, the main goal is to develop their players and put them in the best position to play college baseball. The Elite have seen four members of the 2019 graduating class commit to play for college programs - three to Division I schools. Since 2012, 30 players have committed to college programs with 13 commitments coming in the last year. Diamond Elite is one of five organizations in NVTBL’s Premier Showcase League (PSL). For more information on the Diamond Elite program, please visit their website at www.diamondelite.com.